Acting as FCCS ambassadors, SSAs often have the most direct involvement with parents as they work through the challenges that brought them to the agency. “We see their struggles firsthand,” Davidson says. She adds that her goals are to always show respect, make families feel at ease, build trust and above all else, listen to their concerns. “Parents share every emotion with me, including the fear of losing their children,” she says. Passionate about her job, Davidson routinely goes above and beyond for the kids and families she serves. 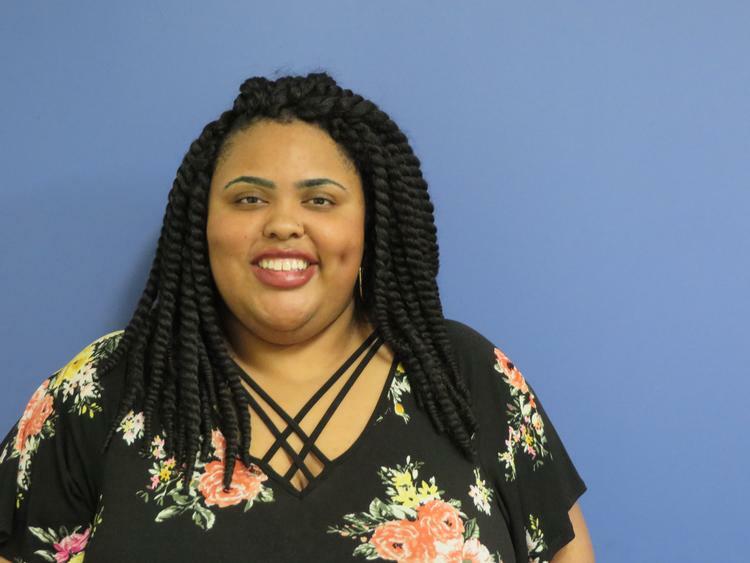 A former preschool teacher, Davidson loves the lighthearted side of interacting with children and especially appreciates getting a “guaranteed laugh every single day,” she says. Davidson, a music lover, lets the kids she transports choose their own playlists so they have something familiar and comforting to listen to. 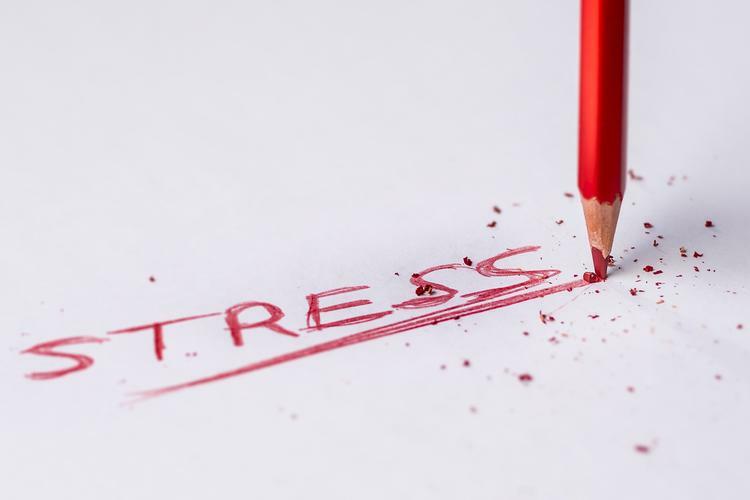 “It helps relax them and can be a conversation starter,” says Davidson, who understands that for most children, interaction with a child welfare agency like FCCS can be a stressful, confusing and frightening time. The small but thoughtful act of letting a kid listen to their favorite song “might take them to a better place mentally,” she says. With the goals of achieving more stability and permanency for families dealing with substance abuse issues, FCCS has begun a pilot of the Ohio START (Sobriety, Treatment and Reducing Trauma) program. Created through the Office of Ohio Attorney General Mike Dewine and administered by the Public Children Services Association of OHIO (PCSAO), Ohio START is an innovative approach to helping families in crises by combining traditional case management with specialized services. Ohio START is an intensive program that involves expedited assessments and counseling, frequent family visits, trauma related counseling for children and recovery services provided by Eden Counseling Centers. The program is voluntary and the caregiver must commit to having six months of sobriety and living in a healthy, sober environment. The case management team includes a specially trained FCCS caseworker and a certified peer mentor who has battled addiction and is there to provide support. Currently, 13 counties have established Ohio START programs. Participating families work together with caseworkers, peer mentors and behavioral health specialists to make decisions and plans for recovery. The goal is to help families become more stable and improve relationships. In addition, the hope is that there will be less of a chance of relapse and continued involvement with child protection agencies in the future. “We’re hoping that by having a better understanding of the addiction recovery process and focusing on addressing issues surrounding it, families will be more successful in overcoming their obstacles long term,” says FCCS Child Welfare Casework Supervisor Jason Kompes. Help us grant holiday wishes for children under agency care. While gifts are gradually beginning to fill our shelves, emergency gift requests are filling our inbox at Holiday Wish and we need the community’s help to fulfill them. Any donation of cash or any new, unwrapped toy you can donate will help more than 6,500 children have a brighter holiday season. 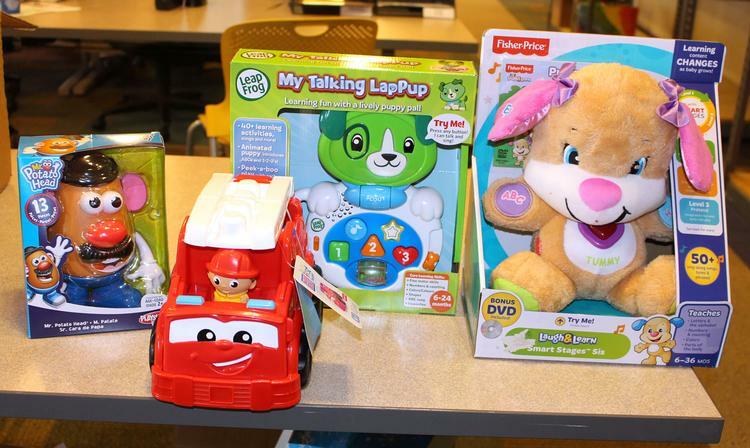 Holiday Wish allows the central Ohio community to give something back for children who may have experienced abuse, neglect or other difficult home conditions. In some cases, these are the only gifts that these children will receive all year. You can help make the holidays special. Each child age 11 and younger selects gifts valued at $50. Each youth age 12 and older receives a $60 gift card. 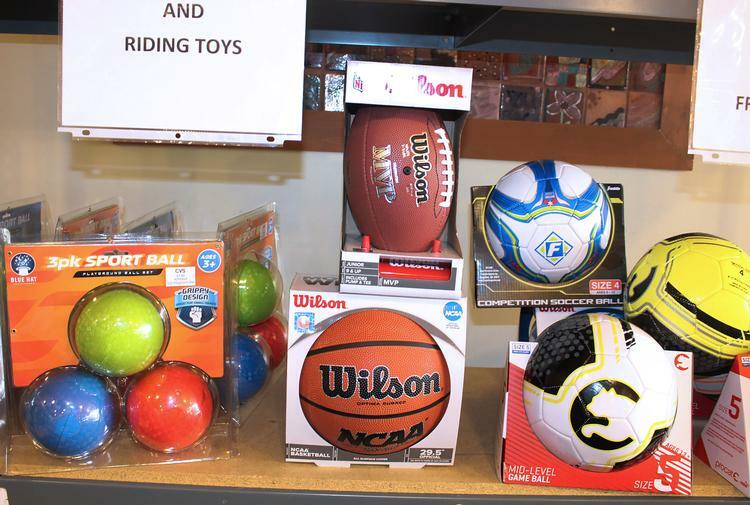 Individuals and groups may also contribute new, unwrapped gifts of their choice and drop them off at Holiday Wish. Donors can purchase items from our Holiday Wish List or Black Girl Magic Wish List on Amazon.com and have them shipped to our office. Holiday Wish is located near I-70 in the Children Services' building at 855 West Mound Street, Columbus, OH 43223. Contact Holiday Wish at holidaywish@fccs.us, visit our website, or call (614) 275-2525 to sponsor a child or learn more about the program. The holiday season is a wonderful time of the year to gather with family and friends, but it can also bring parents, caregivers and children some unwanted guests, like stress and depression. Cooking, shopping, parties, and entertaining can create many demands that lead to being overwhelmed. This year, plan ahead to minimize stress and make happy memories with the children you love. Be flexible, yet attentive. Parents and children need to adapt to changing schedules and expectations during the holidays. It’s easy to become overwhelmed when rushing to attend parties, school activities and church events, as well as shop for presents. Learn to say “no” when necessary and practice self-care. Psychology Today suggests that children need more attention when things get hectic. While it’s important to take care of yourself, also set aside some time to spend with children each day, giving them your full attention. The holidays are an important time for making good financial decisions. Better Money Habits advises consumers to plan ahead and stick to a budget for gifts, food, and entertaining. Do not wait until the last minute to purchase gifts, as last minute purchases will typically cause you to overspend. Also, consider making gifts. A photo of a priceless moment in a beautiful frame can create an everlasting memory without breaking your budget. The holidays can bring sadness especially to children and caregivers who are in new situations or are away from loved ones. It’s normal to feel grief and have difficulty adapting to new situations. According to the Mayo Clinic, adults should acknowledge their feelings, encourage children to do the same and discuss them as well. No one should be forced to be happy. Be realistic and know that the holidays do not have to be perfect. It may take time to create new happy memories. 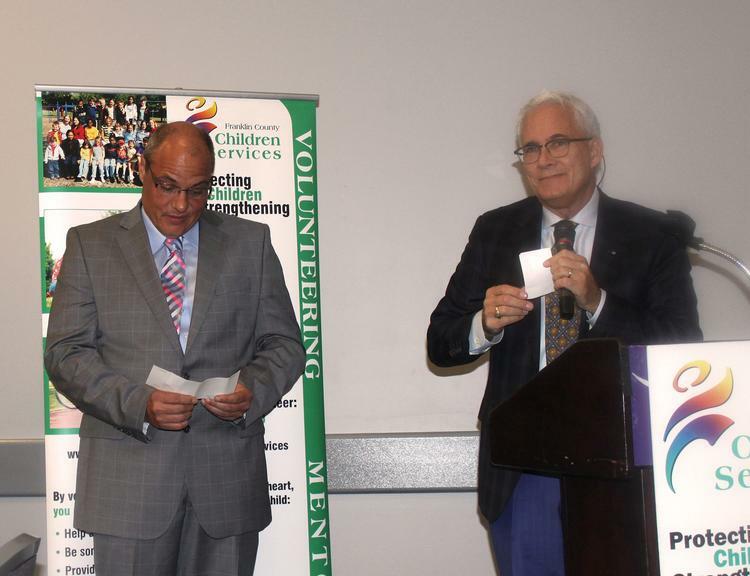 The Cleveland law firm of Dworken & Bernstein recently donated $200,000 to Franklin County Children Services in a special ceremony honoring volunteers and mentors. The money was collected from the unclaimed funds of the firm's class-action lawsuits and donated to Ohio charities through its charitable arm. A suggestion from Ohio Supreme Court Justice Judith L. French, who is a volunteer with FCCS, enabled the agency to receive this donation. Click here to learn about FCCS's College-Bound Mentoring Program. National Mentoring Month is a time for recognizing the importance of mentors and their ability to positively impact young lives. Click here to learn about mentoring opportunities with FCCS. Join us at this casual event to learn about opportunities for making a difference by helping children and families served by Franklin County Children Services. Enjoy refreshments and inspirational stories. For more information, call (614) 275-2690.